Searching for the right home safe and window locks can sometime be difficult task. Looking around the security industry, you will notice safes were nothing more than just thin metal boxes, although on looking further you will see there’s more to a safe that you should know before purchasing one. Most of the safe companies proclaim to be knowledgeable about safes and vaults, but there will always be series of clashing information from different companies. So how do you choose the best for your valuables? Take into account the following factors prior to purchasing a home safe. Size of the Safe and where to Install it: one of the very first things to be considered while purchasing a home safe is the size you require to fit all your valuables. A home safe and window lock is designed to fulfill a certain functional purpose, although they are huge and heavy. So, take into account the place of installation in accordance to the size of the safe purchased. It is always advisable to choose a safe larger than you plan to buy. Items you want to Protect: there are different types of home safes and window locks available, in accordance to the valuables you want to protect. Although it is presumed that most safes are alike, they are not. Most safes are manufactured to protect a particular type of object. There exists a numerous home safe option, to protect items comprising files and documents, guns, money and other valuables. Your home safe should have an effective layer of security and protection from fire and other home hazards. Most cheap safes do not have fire seals on the door, which is an important part of a good fire rating. Cash Ratings: Cash rating is crucial for insurance purposes. Prior to purchasing a home safe, you should consider the safe’s cash rating which are referenced by insurance companies to evaluate the terms and condition of the insurance provided against your valuables in the safe. A strong home safe with proper security system will provide you with peace of mind, knowing that your valuables enjoy the highest level of security. Smart home safes and window locks plays a huge factor in your home security. Since, doors and windows are the main point of entrance and exit, it is crucial to select the best locks for maximum security, be it in your absence or presence. Consider few tips before installing a secure window lock since it is very important to keep you and your family safe from intruders that can break into your home through windows, if your windows do not have proper security and lock system. Also, knowing the types of window lock in accordance with your preference of security is the first thing to be kept in mind. There are available grades of a window lock system which should be consulted before installation. The most expensive option will be the Grade 1 window lock system which is at highest ranking for residential security. It ensures that your family and children are protected from falling off the window and will definitely discourage intruders from breaking into your home. These window locks are suitable for the basement, and windows on the first level, since it provides maximum security. Grade 2 window locks are suitable for windows on a higher position. Some areas of your home, like the second story, might not need a window lock as sturdy as grade 1 locks, but it is advisable to still lock it, especially if it is in your child’s room. Different types of home safes and window locks come with instructions and its purpose. Make sure you are aware of your security requirements and install them properly. 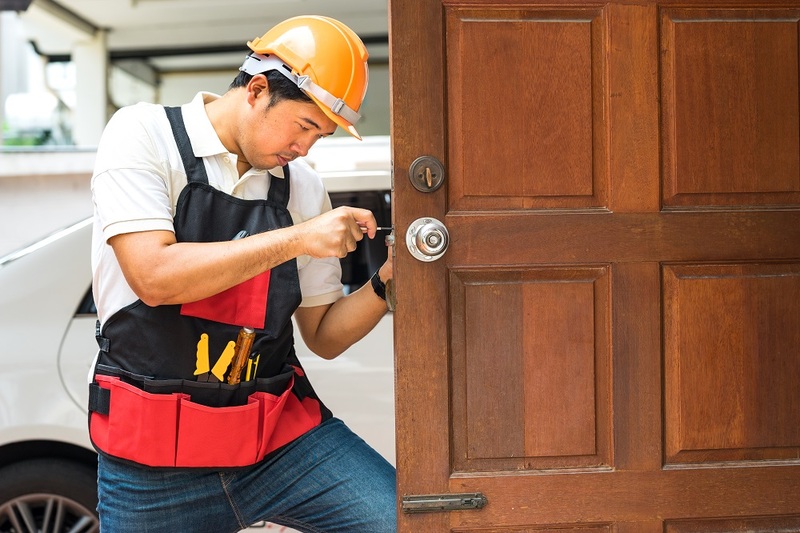 Installation of window locks in the correct way heavily determines your home security, thus keep in mind to hire only expert services and certified professionals.